Make no mistake – architects are facing a silent war. After 8 years of study and professional training, an architect should be respected like a doctor and paid like a highly qualified professional. As an advocate for architects I have studied the reasons why this is so. Why are you treated like a commodity at times? Why are you not paid what you are worth on projects? Why do you feel you have to justify your fees? Why do clients take elements of your design out to reduce the price and reduce the quality of your design work? Why do builders, real estate agents and clients think you will drop everything to drive across town and give advice for free in the hope you might win a deal? Why do you work so hard and get so little credit? Why do owners often trust the contractors more than they trust you? Something here has gone terribly awry. There are two silent wars architects are facing. The war against ignorance. This battlefield is in the minds of our clients. According to the shocking results of a new survey undertaken by architectsjournal.co.uk who surveyed 2,031 adults, people don’t know what architects do. We can look at this war in two ways. Once architects accept responsibility for the education process you take power back. Your weapon is education. You may not be able to educate the world but you can make sure that every person who meets with you is educated about the architect and his or her role in the project. Would you recommend my kids take up a career in architecture? I was shocked at the responses. There were two sides. Those who had given up on architecture as a means for earning a decent income and would not recommend architecture. And secondly those who felt architecture was about doing something you loved and that was more important than money. The only thing that they both agreed on was that the choice was either money OR architecture. I was staggered. These Brits had given up. Both sides had lost the war. They were prepared to raise the white flag without a fight. Tony Robbins taught me a valuable lesson. He said if you want a better result then ask yourself a better question. HOW CAN I DO WHAT I LOVE AND BE VERY WELL PAID FOR DOING IT? That forces your mind to search for new answers. That is the question that finds new ways to overcome the enemy. This right attitude within architects is weapon #2. When I first started working with architects I thought you lot were a well-paid bunch of smart people. Well I was half right. But you are not great marketers and therefore underpaid, which is ironic because you are pretty good communicators. Maybe you get lost in the detail or some aesthetic mist of great design. Maybe you are too smart and don’t realize how ignorant your clients really are. Maybe you don’t want to appear too simple-minded by stating the obvious. 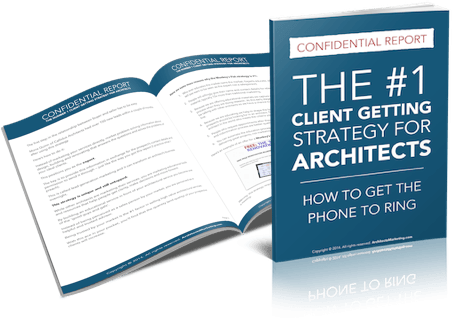 You assume your clients understand the value in what you are doing. We (the general public) do not. All the stats prove that. You need to teach us about the value in a way so simple that we can marvel at your creativity and pragmatism. I think architects get a raw deal. But this isn’t your fault. You’ve been sold a lie. You’ve been told that people recognize the value of good design. Your design schools have sent you into the workforce unprepared to face the reality of dealing with a world where money is king (unfortunate, but true). Your professional organizations are more concerned with their own interests than your struggles – you, who fight on the front lines. Contractors blame the architect and come in at the last minute to “save the day”. They make out as the hero (and take the victor’s spoils). Construction managers set up shop and push architects out of the construction process (and make a killing doing it). What happened to the “master builder”? What happened to the architect that led the design team – the architect who controlled the process and guided the contractor and owner to the successful solution? Architects have been marginalized. The noose is set and the trap has been sprung. The good news? It isn’t too late. Some architects are fighting back. You must help yourself too. You need to stop driving all over town doing free work. You need to stop cutting your fees to win deals not worth winning. You need to value yourself first so others can follow. Lawyers and doctors do not do this and neither should architects. We need to raise the bar for the architect community. The great American orator Patrick Henry said it well: “united we stand, divided we fall”. I’m taking a stand. But we can’t do it alone. Step number 1 is to believe in the value you bring to your clients. This battle is won in your own heart and your own mind. Are you willing to stand up for what you are worth? Step number 2 is to communicate that value to your clients in a way that they can understand. But it needs to start with you. Architects deserve better – you are both the problem and the solution. I’m taking a strong stance and I’m not backing down. You can love me or hate me but I believe in architects. 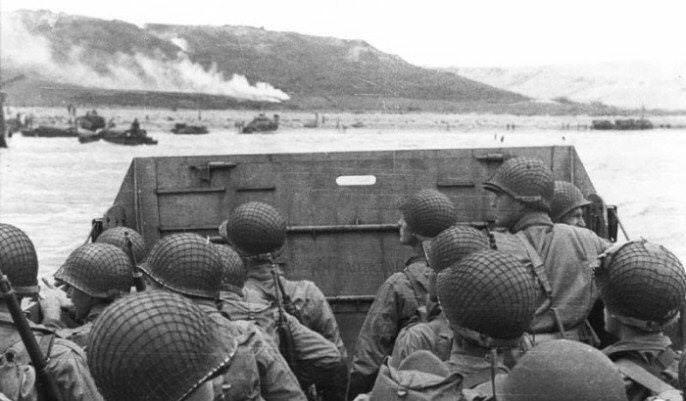 I believe if you are prepared to fight on the beaches you can do what you love AND be paid like the professional you are. 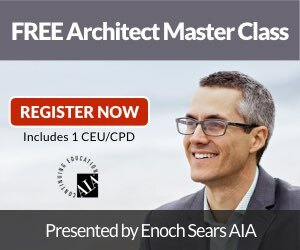 Eric Bobrow, Enoch Sears and I are doing our part by teaching architects how to communicate their value in a way that brings them “better clients, better work, and better fees”. But we can’t win this battle alone. Will you join us? You owe it to yourself by creating a career that is fun and profitable. You owe it to the world by bringing us great design. And you owe it to your children and future generations to live up to your full potential. In the words of Winston Churchill, “Never give in, never give in”! we are facing a similar plight here in the Caribbean more specifically the Commonwealth of Dominica. There are no policies nor regulations to control the industry. 90% of the jobs are done by draughtsmen, we are at constant loggerheads with these guys, even having to lower our prices to get the job. The draughtsmen take on mammoth projects that are beyond their purview; I agree that we architects definitely need to educate the public and the powers that be to curb this practice. Some take it as wanting to have a monopoly on the industry but it’s not the case, there needs to be some control and respect. Best regards and we shall overcome! When ever others’ less well trained and qualified are able under statute to proved services traditionally provided by the architect, nothing will change. No government is going to allow a unique professions to have a monopoly on an industry (unless its a matter of life or death like doctors) The bottom line is what they want and why impose a 5% addition to the cost of a house- thats for the real estate commission or marketers. I am fighting that war. But, if we are at war then we need to decide if we are fighting for the love or architecture or the love of money. Can it be both? Ask the soldier on the front line. Then ask the weapon’s salesman. And to win a war, you need strategy. Education is the answer, not self pity. I am a small voice on the front line. We need the big guys to stand up! I am a student of architecture! i love this job but when we grow older we start thinking more about money, so i was going to leave this and start a general physicians’ career but anyhow i couldn’t because it’s architecture in my blood. Architecture was in my ‘blood’ too…but don’t worry..there are vaccines that can help…..! Brilliant Enoch! Brilliant. I agree the Brits have buried their head in the sand….. When you become an architect after that 8 years , you have then qualified to the basics of ounderstanding and then commence to actually learn the real skill from school of life . Best work on building sites for at least 2 years to then get the core understanding of the trade and the practicle outcomes of designs that are drawn up by architects. Now you have both design skills backed up by practicle on site outcomes. Also develop marketing techniques alongside your brilliant mind to see your visions get traction and validation. The master builder of old was knowledgeable in all things: in the way forces worked (structural engineer) in the way materials functioned with each other and could be assembled (contractor), to use breezes or insulate areas of the building (mechanical engineer), in the way the weather and water affected the site (civil engineer). As technology and building practices have grown in complexity, as our apprenticeship tradition has turned into airheaded curriculum in schools, abuse of interns, and the dreaded NCARB, we have become a shadow of our ancient professional predecessors. You can no longer expect a student with 6 years of architecture school to draw an accurate building detail, and yet they are drowning in debt and unable to secure one the three available internships in the United States right now. Its not even about choosing money or passion anymore, its about surviving, and making sure we evolve our role into something new and meaningful. Hernando, that is a powerful quote! Takes my breath away. And once again, thank you for this site, and keep posting.